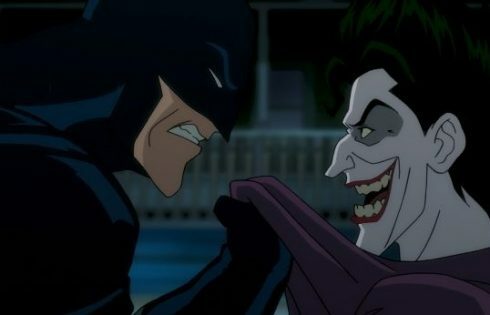 Due to the unprecedented fan demand for “Batman: The Killing Joke” in movie theaters, Fathom Events has added a second date and two additional showtimes for the event in select cinemas. The highly-anticipated graphic novel-turned-film will now be shown for two nights only on Monday, July 25 and Tuesday, July 26 at 7:30 p.m. and 10:00 p.m. (local time) both days. Now showing at more than 1,150 U.S. cinema locations on July 25, “Batman: The Killing Joke” has become the widest rollout for any event in the company’s history. Audience members of the event will be treated to the full feature plus a special introduction from actor Mark Hamill, an exclusive documentary piece and a behind-the-scenes look at the Joker’s memorable, yet disturbing, song and dance number. “Batman: The Killing Joke” is a 2K presentation that has been remastered for this theatrical event. WHERE: Tickets for “Batman: The Killing Joke” can be purchased online by visiting www.FathomEvents.com or at participating theater box offices. For a complete list of theater locations visit the Fathom Events website (theaters and participants are subject to change).